"If there is a most vulnerable time for a church, it is when it is under construction," one fire expert said. "Once the roof is consumed, all that burning debris is going to fall at the floor level and of course, everything that’s down there will be on fire," Corbett said. 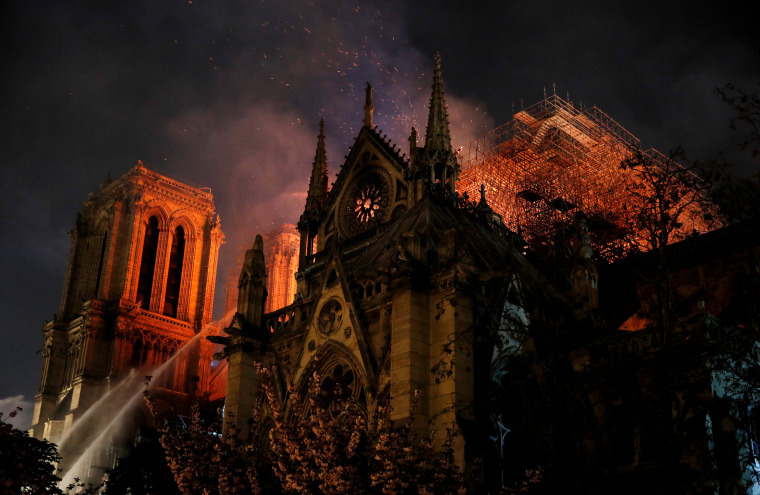 Michel Picaud of the Friends of Notre Dame, a U.S.-based foundation dedicated to fundraising for the cathedral's reconstruction efforts, said the entire roof was destroyed. "Fortunately, for Notre Dame, I’m sure they’ve got deeper pockets to rebuild this church," Corbett said. "But there are a lot of churches that, if they lose their building, that’s it."